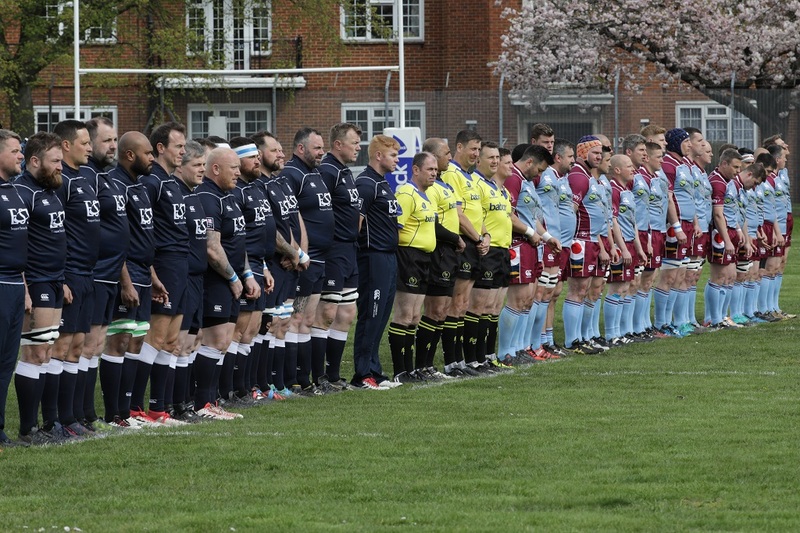 The Royal Air Force Vultures proved to be too quick in thought and deed for a Mariners side that never managed to impose themselves on this season’s opening game in the 2019 Inter Service Veterans Championship. It was Matt Clarke who opened the scoring after thirteen minutes when he grasped an opportunity afforded by the Mariners conceding an offside penalty. Whilst the Mariners expected a kick at goal, Clarke, tapped to himself and went quickly from forty metres out. The Mariners loss of concentration proved costly as Clarke sped past a flat footed defence, broke through a covering tackle to score under the posts and give fly half Gary Dunn the easiest of conversions for a 10 – 0 lead. Dunn extended the lead twenty minutes later with a penalty from in front of the posts in a game that was being punctuated by numerous stoppages through injury or indiscretions from both teams. From the restart the Mariners needed to establish some field position and exert some pressure of their own but poor handling turned over possession and the Vultures countered from deep. They did well to keep possession and were soon back on the attack pressurising the Mariners goal line. A number of close drives were held out by the Navy side until eventually Sid Lewis, the RAF Vultures captain drove over from a couple of metres out close to the posts to give Lewis the simplest of kicks. 17 – 0 and the Mariners were facing an uphill task to get back in to the game. Navy spirits were lifted though when shortly before half time Tighthead Prop Ignatuis Oberholze crossed wide on the right to get the Mariners on to the score sheet. With the conversion missed it meant the Mariners had cut the Vultures lead to 17-5 at the half time break. Two tries in the opening ten minutes of the second half took the game away from the Navy Mariners. The first was by the Vultures influential Number 8, Gaz Charnock, before Matt Clarke scored a deserved second try. Dunn only managed one conversion but the Air Force’s 29-5 lead seemed enough to win the match. And so it proved. For the last half hour the game lost much of its shape as it continued to be a stop start affair. Both sides felt the ire of the referee as in total six players were sent to the sin bin in the second half, following a single yellow card in the first half. It was one of the few contests that the Mariners won during the game as they only lost three players to the Vultures four! 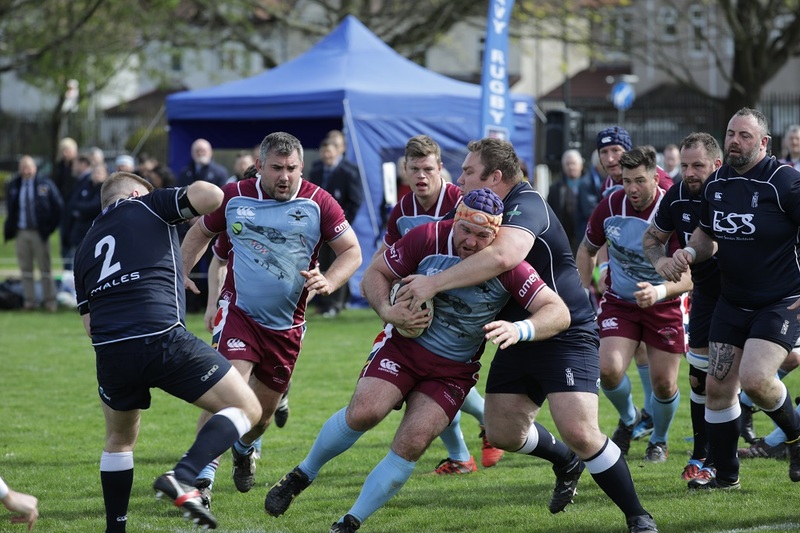 It was not a match that could be described as a classic but that will not worry the Royal Air Force Vultures who were good value for their 29-5 win. With the Army Masters having had some good results so far this season they will know that they will have to step up a gear or two in two weeks time, whilst for the Navy the damage is a little more deep and they may need to spend some time in dry dock to sort themselves out before they play the Army to conclude the Championship. The Vultures will travel to Gloucester full of confidence and will hope the final round may be a dead rubber as they seek a second win to seal the championship.